The Student Orientation Staff is looking for qualified students to help complete our dynamic team for 2019! Did you have a great Orientation experience? Being an SOSer is a great way to grow personally and professionally while helping new students transition to UofL through Orientation! As an SOSer, you will mentor and guide new students through the ins and outs of life as a Louisville Cardinal. This position is also a great way to make connections to campus. 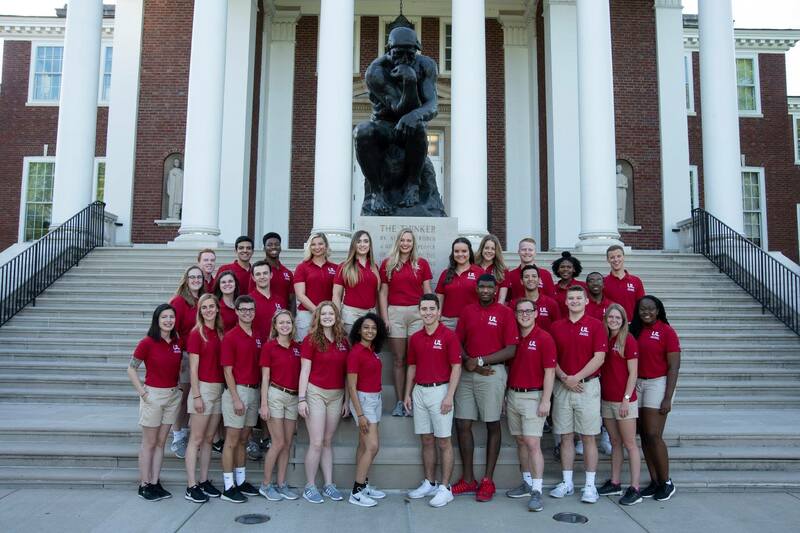 If you want to be a leader on campus and wear the coveted red polo, apply online to be on our team. Create your mark, leave your legacy, become an SOSer! Step 1: Attend an Interest Session. Interest sessions are not required, but they are recommended. Step 2: Read the position description to ensure you meet the requirements and can commit to the position responsibilities if selected. Step 3:Apply online! Applications will be open October 12-26, 2018. All application materials are due October 26 at 11:59 p.m.
Wednesday, October 10 at 5 p.m.
Thursday, October 11 at 12:15 p.m.
Tuesday, October 16 at 5 p.m.
Wednesday, October 17 at 12:15 p.m.
All Interest Sessions will be held in the Student Activities Center, Room W117.